- Rebecca Gladding, M.D., co-author of You Are Not Your Brain and a psychiatrist specializing in anxiety and depression at University of California in LA. I was delighted to be a speaker the recent Tafe Learning & Teaching Excellence Conference at the Brisbane Convention Centre on January 20th 2017. My topic: the rewards of Mindfulness in Life and Teaching. "Just to say thanks a lot for the course, it was terrific. A great mix of people plus your obvious deep knowledge and lived experience of the subject matter made it a very enjoyable experience. We liked the way you combined meditation, active exercises and reflection. Our "homework" also kept the experience at the front of mind and in some subtle way, changed the week. " -Jane Flower, participant, Kyogle, October 2016. July and August 2016: I was delighted to present a series of 27 Mindfulness Sessions to 80 staff at The Cedars Aged Care Facility in Casino, NSW, for The Whiddon Group. Due to popular demand, the classes will be continuing monthly, with sessions tailored for Residents as well. 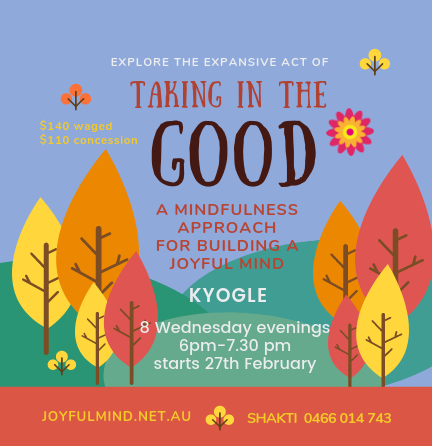 Feel Good Wellbeing Fundraiser, Kyogle. Shakti Burke with Whiddon Casino Manager, Melissa Dunkley. Bobbi Allan and I continue our Mindfulness in Education teacher workshops (below, in Goonellebah NSW, March 2016. A good time was had by all at the Feel-Good Wellbeing Fundraiser on Sunday morning 25th October 2015. Mindfulness meditations A variety of approaches so you can find something that resonates with you, to make it easy and enjoyable. Positive Psychology approaches, covering the work of global leaders in the field. The brain and nervous system and their role in the stress response. Techniques for managing a busy mind. August 2015: sessions for self-selecting staff at the Northern Rivers Social Development Council, Lismore. 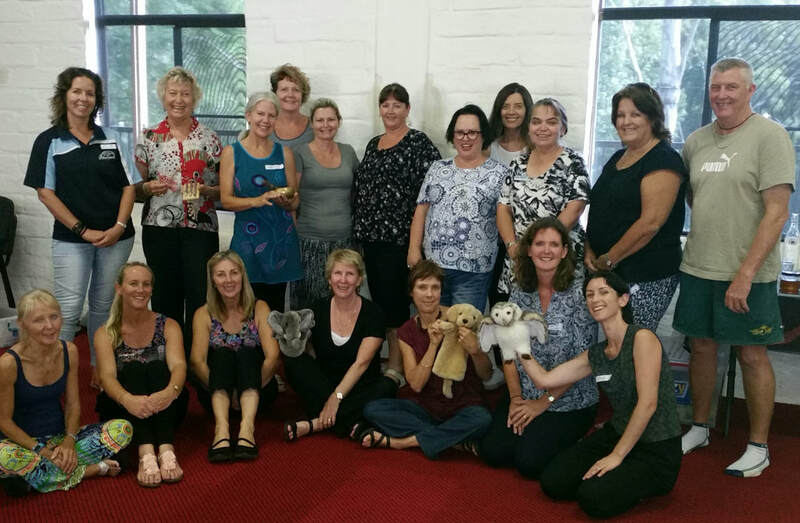 May-June 2015 A six-week Mindfulness course for staff of Jumbunna Early Learning Centre in Casino, NSW. Following the course, one participant reported "I can now look at daily struggles with positive outcomes instead of negative outcomes." For more testimonials, go to Testimonials. 2015: Jumbunna Preschool staff; Northern Rivers Social Development Council staff. 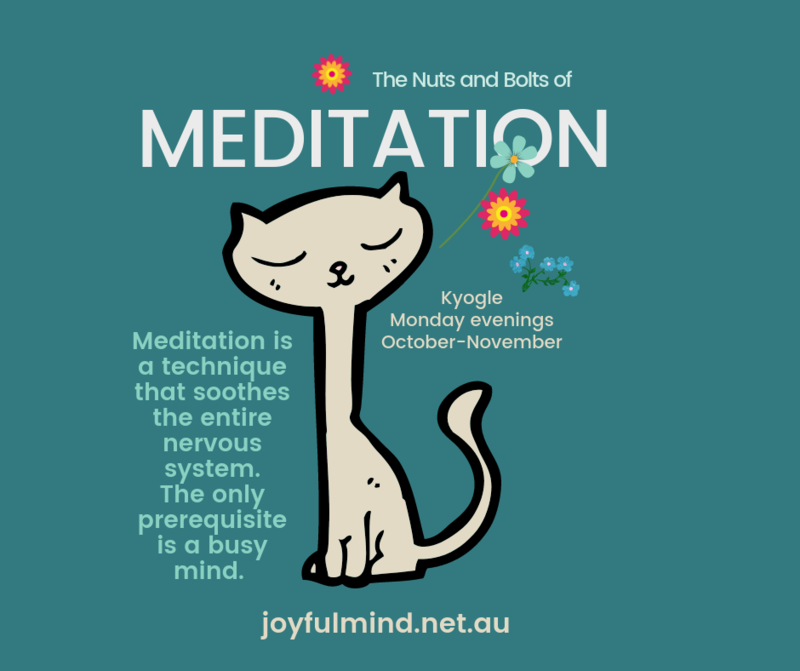 Is A Busy Mind in Meditation Getting You Down?